They say it cannot be done, but Kauai is doable on a budget. We spent a week exploring the best of what Kauai has on offer and all on a shoestring budget. We rented a car, camped, ate cheap food and it worked for us. Don’t hesitate. Kauai can be done on a budget. 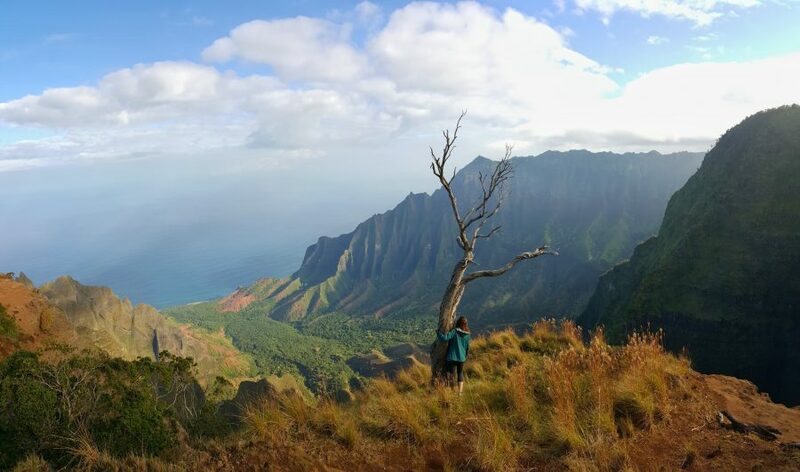 Pulling up to the Kalalau lookout, one of the last lookouts in Koke’e State Park, we soak in the views. Stepping towards the viewpoint, Yana notices a small trail beyond the railing. A sign clearly states to stay behind the railing, that it is not a trail and I think it implied danger. As in death. Per our typical exchange, I ask Yana not to go. Standing next to 2,000-foot vertical drops to the Kalalau Valley, Yana glances over at me and as usual, Yana ignores my request. She continues and before I know it, she is out of sight. I follow. Within a minute there are stunning panoramic views. It makes the overlook seem like an afterthought. Yana has a grin on her face. I am not sure whether it is her sense of success, or she hasn’t had enough. She continues on the trail. I follow. The further the trail goes, the more exposed it becomes. We clearly are on a ridge line of a mountain. It starts manageable with a ridge 20-30 feet wide. Eventually, the ridge narrows to the width of the trail, nearly three feet wide. There is clear evidence of mudslides. The ground is soft. We give each other a look, but no words are said. Yana continues on the trail. I follow. It is a dead-end. Any further and we would fall to our deaths. Looking around us, the views are breathtaking. 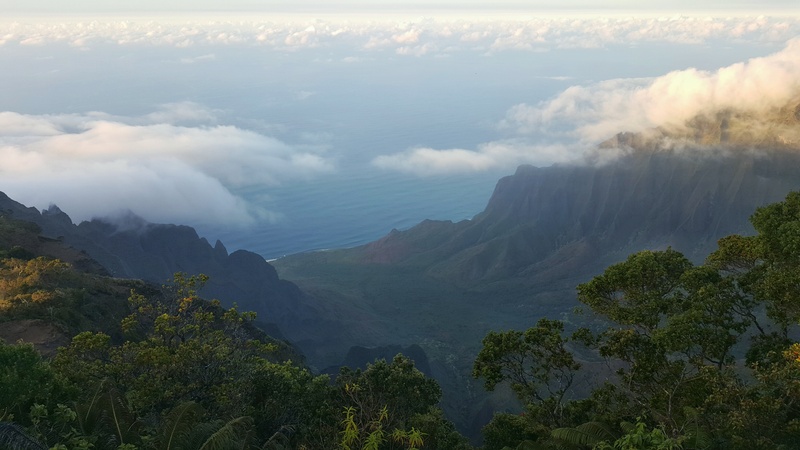 Beneath us are views of the Kalalau Beach and miles of the Na’Pali coastline until it disappears into the haze. In just two days time, starting from 15 miles from here, we will hike the Kalalau trail, ending just below where we now stand. Silence reminds us of the 2,000-foot drop on both sides. Clouds quickly are gathering. A raindrop falls. We need to leave. Fast. I look to Yana and she already left. I follow. 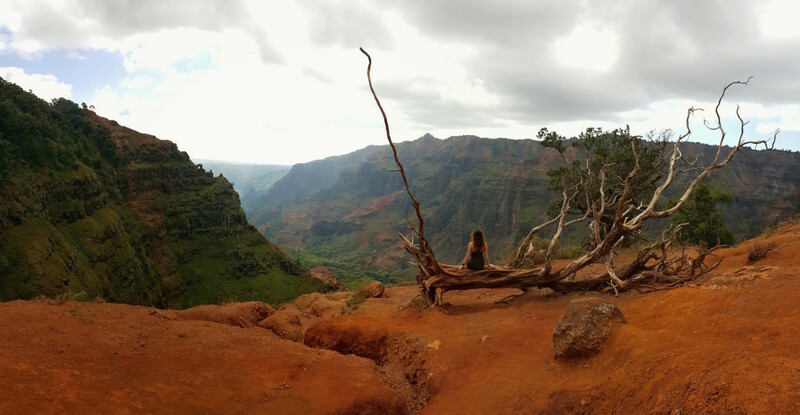 Kauai is a land of adventure and has some amazing hikes. The island has stunning mountains that meet the Pacific, at the famed Na’Pali coast. 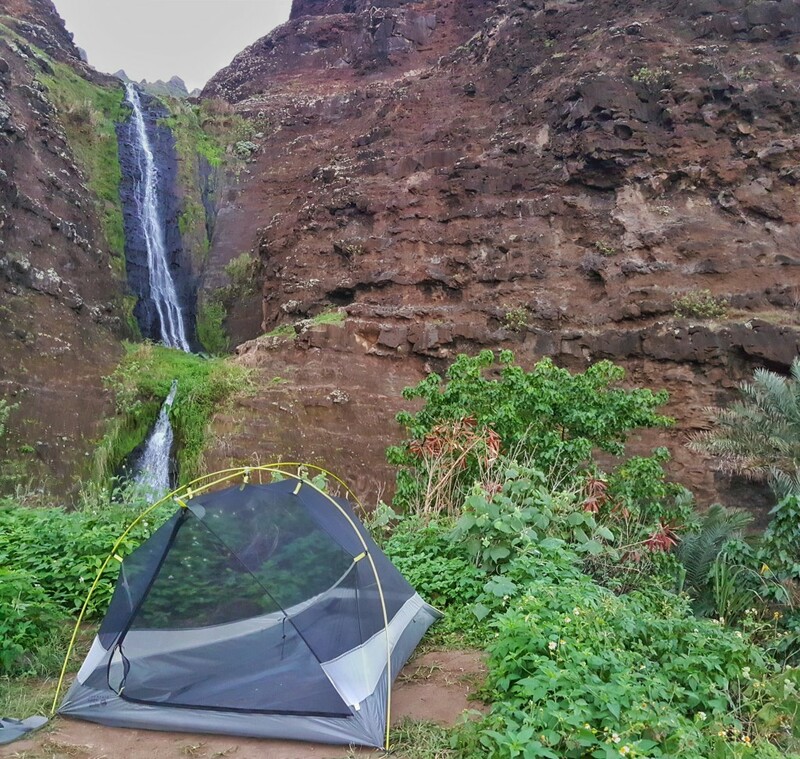 While Hawaii is expensive, cheap camping options exist all around Kauai. There is excellent food that caters to those on a budget. Overall, Kauai is an excellent choice for a visit, even for those on a budget. 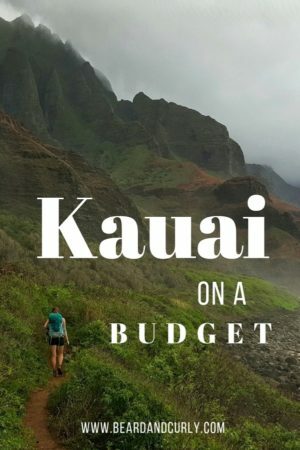 The Adventures in Kauai on a Budget will take you through the best of Kauai! There are two hostels in Kauai. Located in Kapa’a, Kauai Beach House Oceanfront Hostel is on the eastern side of Kauai. As the name suggests, it is oceanfront. That might be the only good things about this place, but for those looking for a hostel environment and sand at your feet, dorm beds are $38. Also in Kapa’a across the street from the beach park is Honu’ea Hostel with dorm beds for $31. Personally, I think for the quality and the price, you are better off buying a tent and camping. But these are the two cheapest places to stay in Kauai. Camping is one of the best ways to cut down costs while visiting Kauai. With dozens of campsites around the island and cost as little as $3 per night or $18 per night in State Parks, we highly suggest to pack a tent, or head to Costco and buy one! Read more on Camping in Kauai and Obtaining Camping Permits. 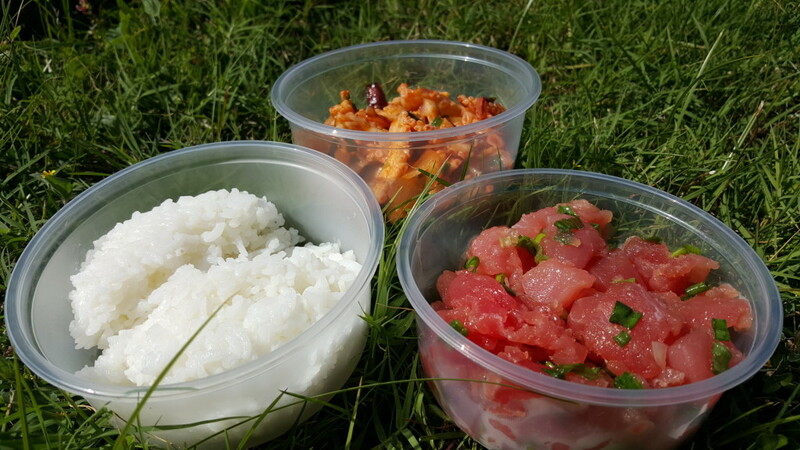 Kauai has excellent food, and without question, some of the best poke in Hawaii. The seafood is incredibly fresh, and there are plenty of options for those on a budget. You can find many places to eat for under $10 per person which give for an excellent meal. Don’t miss some of the islands bests, such as Kauai Pupu Factory, Da Crack, Tiki Taco’s, Pono Market, and the Kilauea Fish Market. Read the full article here on Cheap Eats in Kauai. Travel in Kauai or anywhere in Hawaii comes with a cost. Accommodation can add up quickly and nice meals out can break the bank. However, a visit to Kauai doesn’t have to take months of savings to be splurged in a few days. 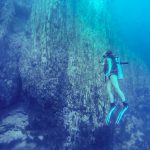 There are several ways to see all the beautiful places in Kauai on a budget, whether you are just money conscience or a broke backpacker! Here are some of our tips on how to travel on a budget in Kauai. Tip: Short on time? Check out this 1 day in Kauai itinerary. While in Kauai on holiday, it is best to not rely on poor public transportation and get a rental car. Weekly rental with Advantage Rent a Car will run you $265 (under $40/day). If you combine the cost of a weekly car rental and camping for a week, you can stick to a budget of around $330 for the week for accommodation and a car, that’s not too bad! Kauai is best explored by foot. Whether it is the famous views on the Na’Pali coast, exploring the Waimea Canyon, or treks in the Koke’e State Park, there are dozens of hikes to choose from. The best part about it, is they are all free! Exploring the beaches in Kauai is the best free activity you can do! Sand and water are abundant on the Hawaiian Island of Kauai, so spend a few days finding your favorite spot. Some of our favorite beaches are Hanalei Beach, Kee Beach, Poipu Beach, Haena Beach, and Polihale Beach. Tip: For more budget information on the rest of Hawaii check out how to do Hawaii on a Budget. The famous Na’Pali coastline is a highlight of Kauai. The Kalalau Trail is a 22-mile round trip hike, the only way to truly explore this coastline up close. This is by far the best hike, not just in Kauai, but all of Hawaii. Recognized as one of the worlds most dangerous hikes with 11 miles of continuous ascents and descents which include river crossings. The hike is grueling but pays off at the end. 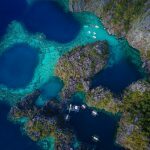 A stunning beach, caves, and an enormous valley with swimming holes to explore all sit at your fingertips. This hike is for experienced hikers and can be very dangerous, in particular during the river crossings. For more on obtaining a permit and the hike itself, read more on the Ultimate Guide to the Kalalau Trail. One of the most popular hikes in Kauai, the Canyon Trail, and Cliff Trail is within Koke’e State Park. These trails can be joined for a single hike to multiple viewpoints into the Waimea Canyon, the Grand Canyon of the Pacific. 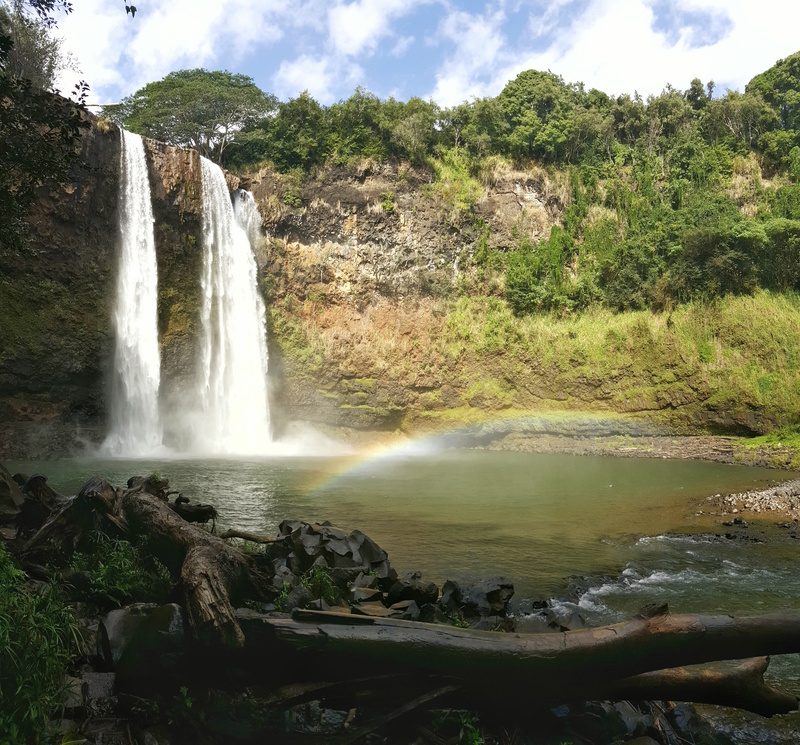 The hike to the top of the Waipo’o Falls is a 4-mile round trip hike. This hike is suitable for most, however, there is a steep ascent on the return. 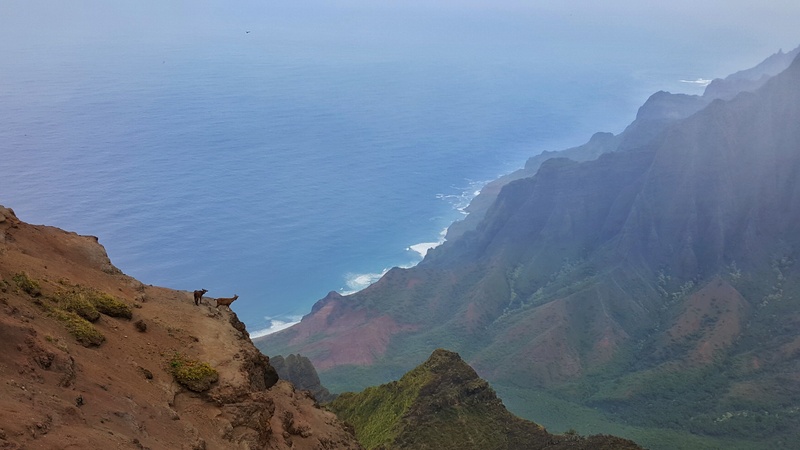 Described in the introduction of this article, the Kalalau Lookout Ridge trail is officially closed and not a formal trail. However, there are still many who hike out on this ridge for the incredible views. 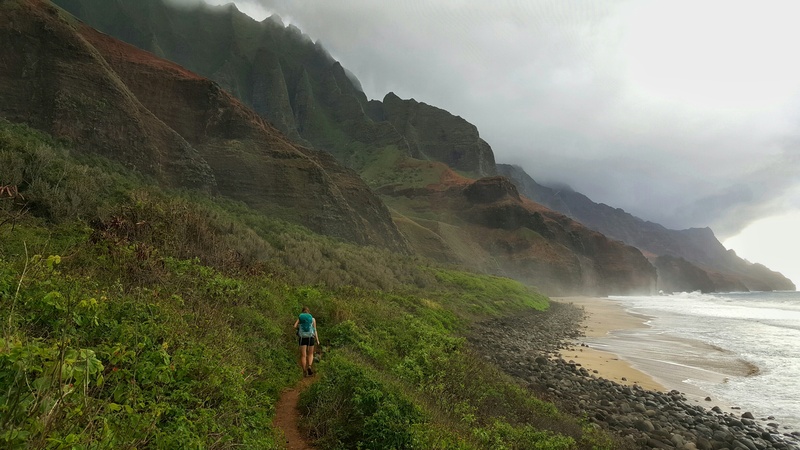 This 2-mile trail is adventurous as they come in Kauai. Althoughhhhh, we can’t suggest you go on this hike, because it is closed. This in and out hike is 3 miles entirely downhill through a forest. 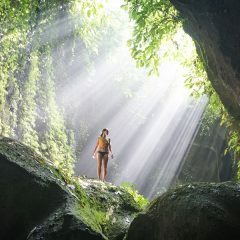 Although the hike in its self is not impressive there is a spectacular reward at the end. Views of the two valleys, the Nualolo and Awa’awapuhi, are remarkable. There is a narrow section beyond the lookout with vertical drops 2,000 feet on each side. The hike back is entirely uphill, or combine with the Nualolo trail to make a 12-mile loop. Just north of Lihue is the Wailua River State Park. Wailua Falls lookout sits at the end of the park. There is a very short 0.3-mile trail to the bottom of the falls this is officially closed. This trail is not easy to get down to, especially if the track is muddy. It is extremely steep and requires some scrambling. Head past the fence for the start of the trail. There is a nice swimming lagoon at the bottom of the falls. This article has affiliate links. Some links and banners will reroute you to another website. If you ever decide to make a purchase, we get a small commission, and it helps us with our website costs. We really appreciate your support! Thanks for reaching out! Kauai is an amazing place, you guys will love it. It is by far the most beautiful island of Hawaii. 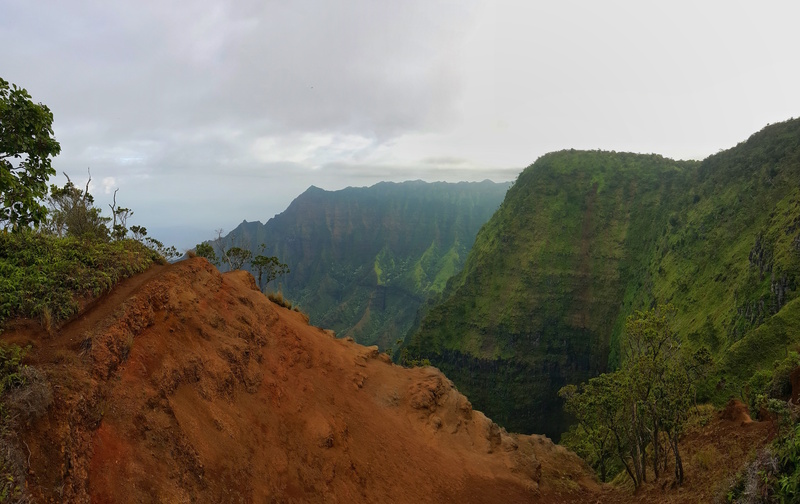 In terms of things to do, check out the Waimea Canyon, all the lookouts in Koke’e State Park, Hanalei beach, and Polihale State Park beach were all great. If you guys enjoy hiking, some shorter walks that the kids could also enjoy could be the first 2 miles of the Kalalau Trail (up and down, but not too bad, be careful if you cross the stream at mile 2) and The Cliff Trail (moderately steep). As for camping, to be completely honest with you, Kauai has had some issues with homelessness and drug problems at campgrounds, so I would stay away from the county campgrounds with small children. Anini Beach would be the only one I would consider from County. State Park campgrounds are beautiful, Polihale beach camping is wonderful and the campground in Koke’e State Park is very lush and great for kids. You can book the state campgrounds online. Country campgrounds you have to book in person at a community center. We hope you the best and a wonderful trip to Kauai! Thanks again for reaching out.